The perfect solution for summer rides, or cafe racers... our Open Face helmet range offers something for everyone with a huge selection of helmets . With your safety as our priority, we only provide helmets which have been officially certified by respected governing bodies. All our helmets come with Free UK Delivery and the option to Return or Exchange your helmet within 30 days. The Viper RS-04 is a budget open face helmet for bikers who want a helmet that'll do the job and suit their style. Viper helmets are renowned for their level of protection, comfort, and spec all at affordable prices. 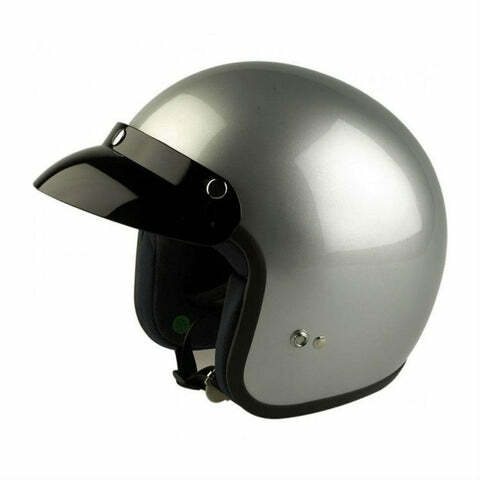 Within their great range of helmets is a selection of Bluetooth helmets which come ready to connect to any other type of Bluetooth device like a phone or GPS to keep you connected on every ride. The Viper brand currently offer full face, flip ups and motocross helmets. With Open Face Helmets from just £53.99 at LDMotorcycles.co.uk we promise to have the right helmet for you, keeping you safe and comfortable wherever you ride. Our range includes helmets with extensive lists of features such as integrated sun visors, grooved linings for glass wearers, full ventilation systems, internal headset unit areas plus much more, to make finding your next open face lid a simple and enjoyable process.